Be transformed into a highly valued thinking nurse with our innovative curriculum! The Mission of the Franklin County Career and Technology Center Practical Nursing Program is to educate and prepare adult learners to competently and safely practice as an entry level licensed practical nurse. The program promotes lifelong learning. The student will meet or exceed standards and criteria of performance that will be satisfactory to the health care employer. The graduate will be qualified to take the NCLEX-PN exam required for licensure. The Franklin County Career and Technology Center Practical Nursing Program will be the premier Practical Nursing Program in Pennsylvania providing a dynamic instructional program that is evidence-based and aligned with current practice. The Licensed Practical Nurse (LPN) is an integral member of the health care team. LPNs, working under the direction of a licensed professional nurse (RN), physician, or dentist, provide nursing care to clients. Take the Step Towards a Better Future! Become a licensed LPN from the Franklin County Career and Technology Center Practical Nursing Program. The Practical Nursing Program, affiliated with the CareerTech www.franklinctc.org, is a rigorous, high quality, high value one-year full time program. This program has a consistent record of success in providing challenging theoretical and clinical learning experiences to prepare the graduate with the knowledge, skills, and attitudes needed for nursing practice and to successfully pass the NCLEX-PN licensing exam. A passing score on the exam results in licensure to practice as a Licensed Practical Nurse. More importantly the student is prepared to competently enter post-licensure practice at the advanced beginner level. The student is guided by expert nurse educators who have strong clinical and educational backgrounds. The program has an outstanding record in licensure exam pass rates and job placement. Employers report great satisfaction with the knowledge, skills, and attitudes of the PNP graduate in assuming an entry level position. Program graduate surveys consistently reflect high satisfaction with the quality of instruction and preparation for practice. Graduates attribute their success in becoming an LPN to the mentorship of the program’s nurse educators, the rigorous curriculum, and the wide variety of clinical experiences. ACEN accreditation reflects program excellence. Less than 20% of PN programs are accredited by a national nursing accreditor in the United States! Two classes are enrolled each year beginning in either February or August. Students attend class or clinical during the day Monday through Thursday. Upon completion of the 1,540 hours of the program, as approved by the State Board of Nursing, the student will receive a diploma at graduation. NEW – Attend only 4 days a week! Less commuting, more time for study! The Practical Nursing Program opened in September 1958, under the sponsorship and direction of the Chambersburg Area Joint School Board as a part of its adult education program. The program has undergone several changes of administration and currently is under the direction of CareerTech. Approved by the Pennsylvania Department of Education, the course provides an inexpensive educational program for a lifetime career. 2018 Debora Coombs – DNP degree conferred Dec, 2018 – Congrats Dr. Coombs! 2018 – Ginger Peterson MSN degree conferred Nov, 2018 – Congratulations! 2018 – Debora Coombs – Best Practices Presentation at PAPNA Conference May, 2018. Topic: Research and Scholarly Inquiry in Practical Nursing Education – Taking the First Step . 2018 – Pam Hoffeditz – Best Practices Presentation at PAPNA Conference May, 2018. Topic: Mental Health Focus Day: Nurse-Led Groups, Lived Experience and More. 2018 – Debora Coombs selected for poster presentation at 2018 NLN/Sigma Nursing Education Research Conference in Washington, DC. Topic: Student Opportunity for Success SOS: An Academic Recovery Program. 2017 -Pam Hoffeditz obtained CNE certification. Only 2% of PN Faculty have this certification nationally. 2017 – Debora Coombs elected as Board Member of the Nursing Honor Society at Wilson College. 2017 – Deb Ramer – Celebrating 25 years of teaching for the PN Program – Thank you! 2017 – Jan Collier, Deborah Coombs, and Pam Hoffeditz inducted into the Nursing Honor Society at Wilson College. 2016 – Lisa Mentzer – celebrating 25 years of teaching for the PN Program. Thank you! 2016 – Debora Coombs – Poster Presentation on the YES Program (Your Educational Success) at NLN/STTI Nursing Education Research Conference. 2015 – Debbie Coombs and Jan Collier obtained CNE certification. Only 2% of PN Faculty have this certification nationally. 2015 – Lisa Mentzer – Finished Marine Corp Marathon – 5:41:04. – Congrats! 2015 – Carol Kearns – Celebrating 30 years of service to the PN Program. Thank you! The Accreditation Commission For Education in Nursing, Inc. has granted full accreditation to this program through 2018, ensuring a quality education for our students. For further information contact: Accreditation Commission for Education in Nursing, Inc. The Program is approved by the Pennsylvania State Board of Nursing and the Pennsylvania Department of Education. The program has been approved by the Veteran’s Administration for more than 20 years. 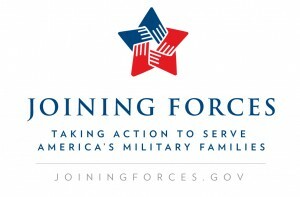 The program aligned with the Joining Forces initiative with other nursing programs throughout the United States. We have committed to educating our future nurses to meet the unique health needs of service members, veterans, and their families. © 2019 Franklin County Practical Nursing Program.